What is the difference between a podiatric surgeon, a podiatric physician and a podiatrist? All three are medical professionals trained to treat feet and ankles. Podiatric surgeons, Podiatric physicians and podiatrists are common terms used to describe those who practice podiatric medicine. Their ability to treat ankle and foot problems rests on their training, level of education and experience. 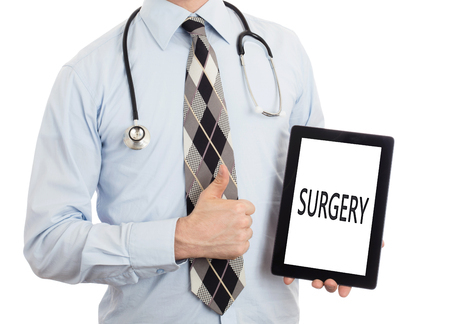 The type and number of surgical procedures carried out varies according to experience, training and size of practice. Would a San Jose Podiatrist Treat Serious Health Problems? Peripheral arterial disease, heart disease, obesity, arthritis and diabetes are considered chronic ailments. Podiatrists regularly treat people with serious health conditions like these. Chronic ankle and foot problems can arise as a result of these conditions, but treatment from one who practises podiatry may ward-off more serious complications. What Kind of Education Does a Doctor of Podiatric Medicine Receive? Their training and medical education is equal to that of a doctor of osteopathic medicine or a medical doctor. They spend four years as an undergraduate, followed by four years as a graduate at one or other of the nine leading podiatric medical colleges. A further two to three years are spent in post-graduate residency training at a hospital. 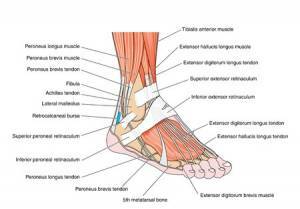 Do qualified podiatrists treat ankle and foot problems only? Treatment offered much depends on state legislation. Podiatrists in all states are permitted to treat feet; however, forty-four states allow podiatrists to carry out treatment above the ankle. Will My San Jose Podiatrist Accept Health Insurance? In general, most health insurance plans cover podiatry. The majority of podiatrists take part in public health insurance plans and private health cover. However, it is worth noting, a few podiatrists do not accept insurance plans. Contact your chosen podiatrist’s office beforehand to find out if he or she will accept your health insurance plan. Do Podiatrists have specialist areas? Podiatric surgery and medicine is diverse. Podiatrists focus on primary care, sports medicine, orthopaedics, paediatrics, geriatrics, bio mechanics, surgery and sports medicine. How can I locate a qualified podiatrist? 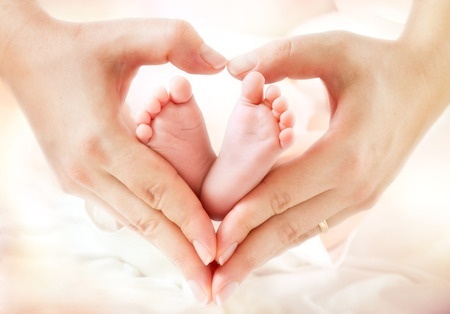 Relax, you’re in good hands – make an appointment with Dr. Ky the Cupertino podiatrist here. Dr. Ky the San Jose foot specialist here. A podiatrist is a medical specialist who is trained to treat complaints relating to the feet and ankles. The professional will ensure your ankles and feet are healthy and functioning as they should. In general, podiatrists utilize therapy and surgery to treat conditions that impair foot structure and foot function. A person trained in podiatry can teach you how to take care of your feet to ward-off future foot problems. Your podiatrist will consult with the primary care physician and other members of your health care team to offer you the best possible medical care. It is not uncommon to develop foot problems at any time in life. The average person walks in excess of 115,000 miles during their lifetime and this is equal to walking around the earth at least four times. A podiatrist or a DPM is a highly trained Doctor of Medicine. It takes years of clinical practice and study to become a podiatrist. Someone who studies to become a DPM will complete a four-year BA program before embarking on a four-year course in a medical school. Further education and residency programs provide extra training. Podiatrists undertake a residency program at one of the leading teaching hospitals. Even a fully-trained podiatrist must undergo further education on completion of formal training. He or she will attend seminars and courses on podiatry, in accordance with the state and national certification board, to remain fully-informed of the latest medical advances in podiatric care. 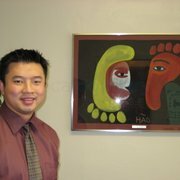 What kind of help can I expect from a San Jose podiatrist? It is important to keep your feet healthy. A professional podiatrist is the person to turn to for fast and effective foot care. Your age and type of foot problem are immaterial, so visit the podiatrist for corrective treatment or relief if you appear to have developed a problem. 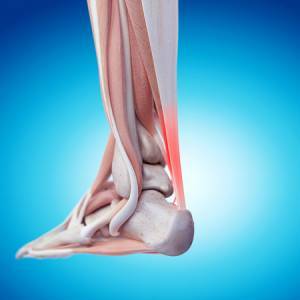 Specialist ankle and foot surgeons practising in San Jose are thorough. To diagnose the problem, the podiatrist will conduct a medical examination. Dr KY, an eminent podiatrist, will examine you and conduct a number of tests to help him to diagnose the problem. 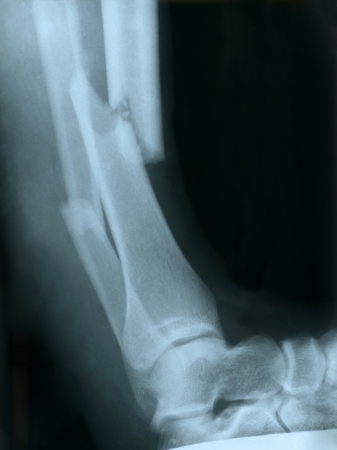 He will then correct the foot problem or relieve the discomfort using a treatment plan. Treatment often includes surgical and non-surgical techniques. A person specializing in podiatry can tell you how to avoid further foot problems. We are constantly on our feet; hence wear and tear is the root cause of many common foot problems. Our feet are in constant use, hence the reason why they are so easily injured. It is likely the San Jose podiatrist will check your breathing temperature and take your blood pressure. He will examine your feet and check your gait (the way you walk). The podiatrist may check the temperature and pulse in your foot and examine the skin color to check the blood is circulating normally. The specialist may look at your hips, knees and ankles to check for defects that could affect your feet. People in good health often have great feet and vice versa. However, health conditions including anaemia, kidney disorders, arthritis, poor circulation and diabetes affect the feet. The podiatrist may ask you about your medical history and take note of symptoms to make a clear diagnosis. The majority of foot and ankle doctors practising in San Jose do so from their office. The San Jose podiatrist may need to x-ray your feet or use other popular imaging techniques such as magnetic resonance imaging (MRI) or computed tomography (CT). This process is used to detect soft tissue damage. Blood flow (vascular), blood and urine tests can often diagnose health problems or a certain foot condition. Your San Jose podiatrist will help to correct the problem or plan or a course of treatment to provide relief. The plan may include surgical treatment or non-surgical treatment. Non-surgical treatment includes: oral medication, skin cream, injections and other certain medication. Other non-surgical treatments include general foot care such as treating corns, padding feet to relieve discomfort and cutting nails. Orthotics is also referred to as inlays or orthoses. These custom-made devices are made to slip inside of your shoes to help you stand, run or walk in comfort. A person trained in podiatry can perform foot surgery. Surgical procedures can be done in hospital, in a same-day clinic or in the podiatrist’s office. This type of therapy is used to relieve pain and swelling and to aid healing. Popular types of podiatric therapy include: taping, splinting, casts, exercise, whirlpool therapy and sound wave therapy (ultrasound). Learn how to prevent Future foot problems and ask the podiatrist to give you some tips to help keep your feet healthy. What do I do when I arrive at the podiatry clinic? Speak to the receptionist and give her your name. You must report to reception or you may miss your appointment. The San Jose podiatrist will call your name as soon as he is ready to see you. Yes, but do I really require podiatric care? Common disorders of the foot include: corns, hammer toes, bunions, ingrown nails and athletes foot. Many people suffer from one or more of these painful foot problems. High-heeled shoes or tight-fitting footwear can cause problems, but medical conditions, injury, poor foot care and heredity are also the root cause of bad feet. A person trained in podiatry can treat all of these conditions to restore ease of movement and comfort. Foot problems can cause back pain, painful knees and sore hips. We have created a list of common conditions that could mean you benefit from a visit to the San Jose podiatrist. 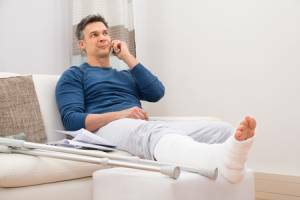 What happens if I cannot make my Podiatry appointment? You must give the San Jose podiatrist twenty-four hours’ notice. If you must cancel your appointment you can contact us by phone or email us at footanklesurgeon@sanjoseanklefootdoctors.com. Don’t forget, you can always leave a message on our answerphone. You may lose your place on our register if you fail to attend your appointment. Some people experience swelling, mobility problems and stiffness after surgery. Such problems may go on for a number of weeks. In the first few days after surgery, you should elevate the foot above heart level and use an ice-pack to lower any swelling. The podiatric surgeon may recommend twenty-four hours rest, but most people walk quite quickly after surgery. Some may need to wear a surgical shoe or a splint for a couple of weeks. The shoe will help to spread your body weight evenly and protect the foot. If you have stitches, you should keep them dry until they are ready to be removed. In general, stitches remain in place for seven to ten days. What is the best way to care for my feet? Contact a San Jose podiatrist at our podiatry office if you have painful feet. Examine your feet every week. Look for thick or discoloured nails and take note of change in skin color and temperature. Look for cuts and cracks and abnormal growths. Remember, scaling or peeling soles could indicate athlete’s foot. Wash your feet every day and pay particular attention to the skin in between the toes. Make sure you dry your feet properly. Contact the podiatry clinic immediately if you have any questions. A doctor of podiatric medicine is a person who specializes in diagnosing and treating ankle and foot problems. A specialist podiatrist treats neuromas, hammertoes, sprains, fractures, calluses, warts, corns, bunions, heel pain and spurs. 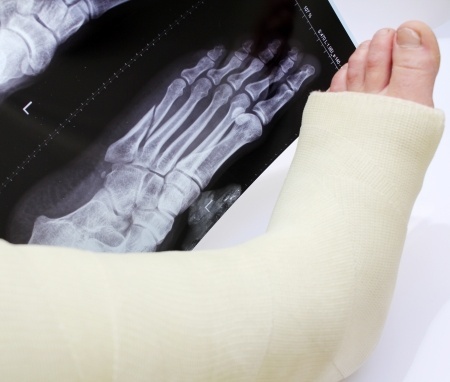 Certain podiatrists treat foot, ankle and heel injuries, fractures and infections. Evidence from the American Podiatric Medical Association states there are around 17,800 podiatrists practising in the US. The ageing population has created a growing demand for podiatry. Foot disorders are widespread and neglected feet are causing chronic health problems in people of all age groups.
. He or she consults with patients and colleagues to prevent and heal common foot problems including ingrown nails, plantar fasciitis, cysts, heel spurs, infections, corns, bone disorders, bunions and calluses.
. He or she conducts surgery to remedy or correct claw toes, bunions, hammertoes, infections, fractures, ruptured Achilles and damaged tendons.
. He or she diagnoses and treats foot deformities, skin and nail diseases, fractures, ulcers and tumors.
. He or she prescribes certain diagnostic tests including lab tests and ultrasound. 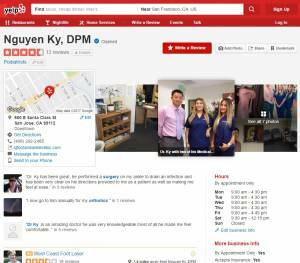 Check the podiatrist near San Jose on Yelp!